Sapa treckking tour, what do you need? A trekking trip across the fields and mountains of Sapa is one of the highlights of a trip in Vietnam. Visit the local villages and see the scenery here. Sapa trekking is an experience you will never forget. 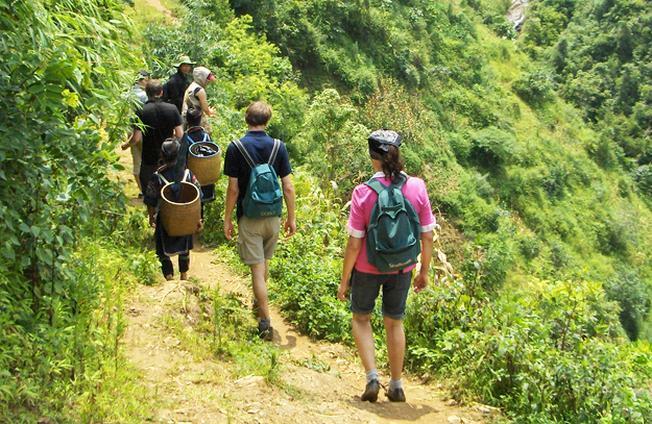 Commonly, when starting trekking in Sapa, people ofter choose Sapa trekking tour 2 days 1 night. 2 days are the comfortable time to explore the fascination of Sapa. Sapa is one of the most famous places owning the most beautiful terraced fields. 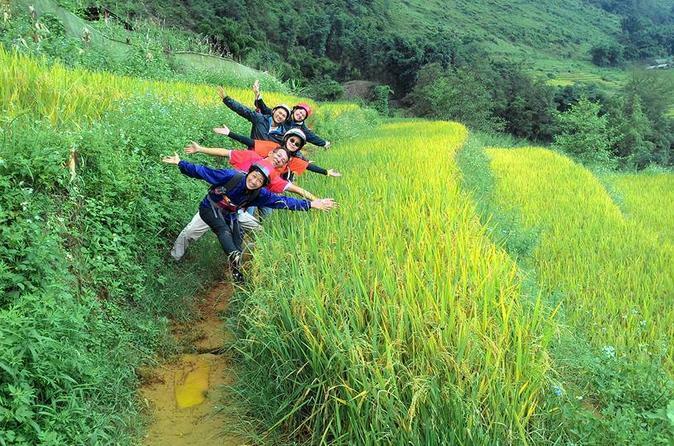 By trekking, visitors can walk along the rice fields while admiring wonderful valleys. On this journey, you will cross a lot of different ethnic minority villages, which brings to you the feeling that you are going back in time. Surely, this is definitely a great place to take pictures. On the other hand, trekking in Sapa has its negative. You will go up and down the hills so of course you must have good health and strength. A normal trip is about 12-15km per day and you walk about 5-6 hours. These difficulties are not the same as when you climb the mountain and the road here is not too bad although no road is paved. That is why after heavy rains, the road becomes slippery in some places. Some visitors like Sapa trekking tour with local people a lot because the local people know everything about Sapa, every road as well as every forest. He can take you to distant locations which do not appear on the map by the way through the forests and fields. You will feel good and relax when the tour guide gives you some useful instructions such as where to eat well, or where to play in Sapa. epending on budget of each people, there are many different choices when trekking in Sapa. For anyone who like choosing Sapa trekking tour cheap price easy, they can overnight in local people’s home while the other people like choosing Sapa trekking tour stay at hotel. If choosing Sapa trekking tour stay in homestay, you will experience the feeling of sleeping on the floor, dinner and breakfast will be served by the owner of your home. It is a worthy cultural experience. From September to late November is the best time to come here. The dry season starts in January and ends in June. March to May is the best time for Sapa trekking. The weather is so beautiful that you can climb mountains and visit villages. Rainy season falls in June to August. September is the end of rainy season and in December, the weather has become colder. When trekking in Sapa, you need not have to bring a heavy backpack. You just need to prepare a good shoes, raincoat, water bottle, snack, anti-bugs spray, medicion, camera to take some photos. Local people often invite you to buy things when you trekking. If this happens, you can politely refuse if they try to sell. Going sapa by bus why not?